We bet your heating system looks like it’s from the stone age. So let’s take your home into the digital age with a brand new singing all dancing smart thermostat which helps you keep your home warm when you need it to be! Imagine you are out, and your parents call to say they are on their way home with the kids. It’s the middle of winter and your house is freezing. Not to worry though! 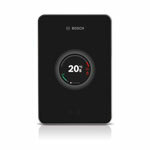 You can grab your phone and turn your heating on remotely! Leaving your house? Your smart meter will know and turn off your boiler based on your phone’s location. Handy, right? Note that Geolocation is not available with the Wave Smart Thermostat. Want to know how much energy you are using? Get reports to show you how much energy you are consuming so you can learn when it might be better to turn off your boiler and use less energy. What Smart Themostats Do We Recommend? 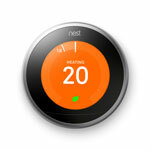 Installation and thermostat costs may vary, contact us for more details. Don’t worry we have got you covered! Being accredited means we can offer you up to 10 years guarantee for your boiler! Don’t worry we have got you covered! Any and all work we have done to your boiler as part of our repair is guaranteed for 12 months at no extra charge! There is nothing nicer than warm feet on a cold morning. Sounds great right? So why not get our expert installers in to keep those toes warm? Looking to get a little extra kick out of your heating? Let us help you get that stylish new radiator installed.